When were Leo III and Una born? They were born November 18, 2002. We celebrate in April, because that is the birthday of Leo I, our first King of Lion Country. Where were Leo III and Una born? They were born in the state of New Hampshire in a wildlife park, and lived with their mother, father and sister. Are Leo III and Una related? Yes, they are twins - brother and sister. What do Leo III and Una eat? They eat raw meat, which looks like hamburger and contains special vitamins and minerals for carnivores (animals who eat meat). The lions also eat bones once a week. How much do Leo III and Una eat? Leo eats close to 7 pounds of meat a day, and Una eats close to 5 pounds a day. What kind of lions are Leo III and Una? They are African Nubian lions, who have a black mane. This breed of lion is the largest lion and second in size only to a Siberian Tiger. The lions with the darkest manes are the ones most likely to attract females. The largest lion ever recorded weighed 826 pounds. Typically, African male lions weigh 330 to 500 pounds, with females being smaller than males. In the wild, lions sleep close to 20 hours a day. What is a male lion called? A male lion is simply called a lion. Female lions are referred to as lionesses, and young lions are cubs. A group of lions is called a pride. A pride is typically five or six lionesses, one to three male lions, and the lions’ young offspring. Litters contain between one and six cubs, and most of the lionesses in a pride tend to give birth at the same time. Lionesses raise the cubs in a group, often nursing each other’s cubs. Lionesses usually remain in the pride for life, while male lions must fight to earn a place in the pride, and continually ward off challengers to take their place. Single males that live alone are called nomads. Occasionally, a female becomes a nomad. Lion habitats, called territories, span more than 100 miles. One of the most famous habitats is in the Serengeti in Africa. How do you tell if the lion is a male or female? Lions are the only members of the cat family to show a difference in appearance between the male and female. Lionesses have a short coat of stiff, tan hair, and the male has a thick mane. The lionesses (females) do most of the hunting while the male lions guard the territory and protect the pride from intruders. They hunt in groups at night, stalking and encircling prey until one of the hunters is close enough to pounce. Adult males eat first, while young cubs eat last. Lions have retractable claws in their front paws that help with hunting. A lion sinks the 1 ó inch claws into its prey to hold it in place for a swift kill. Being able to retract the claws allows the lion to sneak up silently on its prey, which is the most important part of the hunting strategy. They also retract their claws while playing with each other. The claws grow from the inside out, keeping them very sharp and strong as older layers peel off. How do lions adapt to their habitat? Lions have an acute sense of smell from an organ on the roof of their mouths, referred to as a Jacobson’s organ. They can sniff out nearby prey and estimate the length of time the prey has been in the area. They have excellent hearing and can hear prey up to a mile away. Lions’ vision is five times greater than human eyesight. They can see clearly at night. They also have loose belly skin, which helps guard them from harm when prey tries to injure them by kicking or stabbing them with their horns. Lions are covered in brown fur that blends in perfectly with the tall grass that dominates their habitat in the wild. To their prey, lions are virtually invisible in the grass; however, because lions are social animals and hunt in groups, it is important to them to be able to see each other. To allow this, lions have dark spots on the back of their ears, which stand out in the grass. Lions also communicate with each other through roars and purrs. They are the most vocal cat species. Who is a lion's enemy? The enemies of a lion include elephants, buffalo and the spotted hyena. Humans are also an enemy of the lion because some people hunt them for their skins and cattle ranchers kill them to keep the lions from attacking their herds. 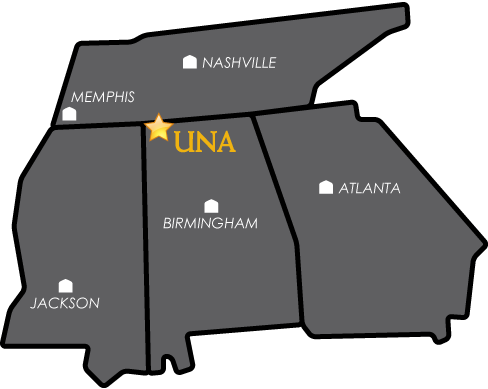 How can I help Leo III and Una? You can click here to Donate Now or share our LionCam on social media to help us raise awareness.